A man sitting on a chair utters these words, “Even though we know the path leads to failure, we keep going. It’s as if we are stuck in a swamp…” Sometimes, he smiles broadly, and at other times, his eyes are filled with tears. His tears are so sincere that reporters feel his firm belief clearly. Commenting on the hardships of life and how he risked everything to get to where he is now moved the nation’s heart towards the nation that we should pursue. SMT reporters interviewed the young North Korean defector, now a South Korean citizen, and found out how he earned the nickname ‘Peace Bridge’. You have a great desire for learning. What was the most difficult part of the learning process, and how did you overcome it? Six years ago, I lived a life without purpose. My wanderings lead me down the path towards suicide. I sympathized with everyone who yearned to end their life. Before sympathizing with them, I couldn’t understand their desire to end their life. It was only after I started sympathizing with them that I felt this desire deep within me. Also, I wondered why the outside world couldn’t hear our calls for help. They are offered no hand in aid, so, after thinking about myself, I decided to hear their cries and reach out to them. However, it was not that simple. I was once depressed from lack of passion, but now I am depressed from the lack of means to achieve my dream, which is why I decided to study so late in life. In fact, I worry about whether I will have enough time to complete my studies and whether I will have the physical strength to survive the pressures of studying. I’ve had to battle so many difficulties, for example, age, health, and a lack of material things, and so on. However, they are nothing but excuses for my situation, so I seek external motivation to understand myself. My hobby which is perfoming the play is what motivates me, and while doing my hobby, I lost my prejudice towards South Korean society. I used to believe South Koreans considered North Korean defectors and all North Koreans negative and dual. However, my thoughts were soon corrected after making South Korean friends who enjoyed the same hobby. In addition to your work with civic organizations, you also lecture to others on behalf of all Korean youth. Which lecture has had the most impact on you? Reaching as many people as possible is important, but somehow, the most memorable lecture is a small talk concert. 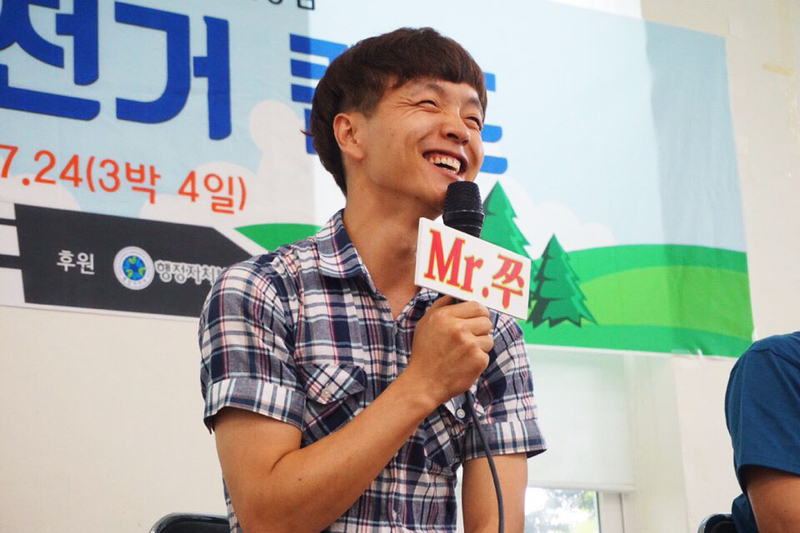 During the talk, a high school student raised his hand and said, "I've never seen a North Korean defector." Without deep thought regarding the meaning of his utterance, the sentence could sound inappropriate, but his words and image on that day are remembered positively in my memory. Honestly, his comment is common. Most people would have started with, "Ahhh….. I’m not sure if this is appropriate to ask, but…” However, I fully believe he wished to ask me directly about the North. I understand people are trying to be considerate. In the past, I took offense to this kind of questioning. However, today, I know they are not asking out of hate, but out of curiosity. In North Korea, Koreans are direct but people in South Korea feel it is rude to violate personal boundaries. I failed to understand this culture when I first arrived and it deepened my prejudice towards South Koreans. The high school student’s question was fresh and direct. It made me release my negative thoughts and I replied without prejudice. That small talk became the start of all my future talks. I always start with "Have you ever met a North Korean defector?” I guess it was the lecture that I remember the most because it is the moment that I changed inside. You have surely faced difficulties engaging in activities such as lecturing, being on broadcasting stations, and doing civic activities. Among all of the activities, which do you find the hardest? I have no real difficulties, but I do have two concerns. 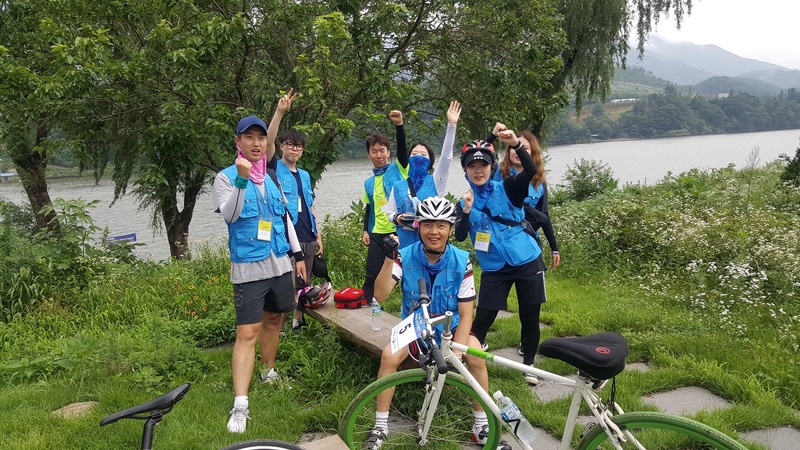 I am constantly seeking new ways of creating positive awareness of North Korean defectors in South Korean society, especially resolving much of the misunderstandings caused from ignorance. My other concern is for the defectors themselves because many of them feel the need to hide their identity. They are newcomers trying to assimilate into a new culture. They once lived in society that blocked all external information. However, media often portrays biased opinions and unjust generalizations of either side of Koreas. Once an individual’s personal thoughts is absorbed by society as public fact due to media coverage, Koreans on either side of the wall develop harsher emotions towards one another. Because of this distorted media coverage, some defectors wish to keep their identity as a secret, fearing it could be seen as a weakness. It’s a pity because it has caused many North Koreans living in the South to remain silent. If I may say something, I would like to send a message out to any North Korean reading this: hiding is not the answer. Continually following the paths of former North Korean defectors will only negatively impact you and others the moment reunification is realized. If a South Korean has mistaking represented North Korea or its citizens, approach the person and correct the misunderstanding. Hiding is indeed one’s choice, and I respect it, but I disagree. Please reconsider your inaction and how it affects others. You have taken on responsibility for contributing to the realization of human rights and democracy in North Korea by taking the lead role in the NGO of Nambuk Donghaeng. What factor do you think is the most important that influenced on your vision for North Korea, and how do you plan to achieve it? Even before Nambuk Donghaeng, I have been working for those two goals for six years. I started at Now Action & Unity for Human Rights (NAUH), and now I am co-representative at Peace Bridge. Among those activities, I give top priority to resolving misunderstandings, prejudice, and discrimination against each other, which only harms reunification. Fears and anxiety caused by ignorance block successful reunification, and they are foolish matters, but by working together, the start towards peace, initiated by the two nations’ governments, will be smooth. 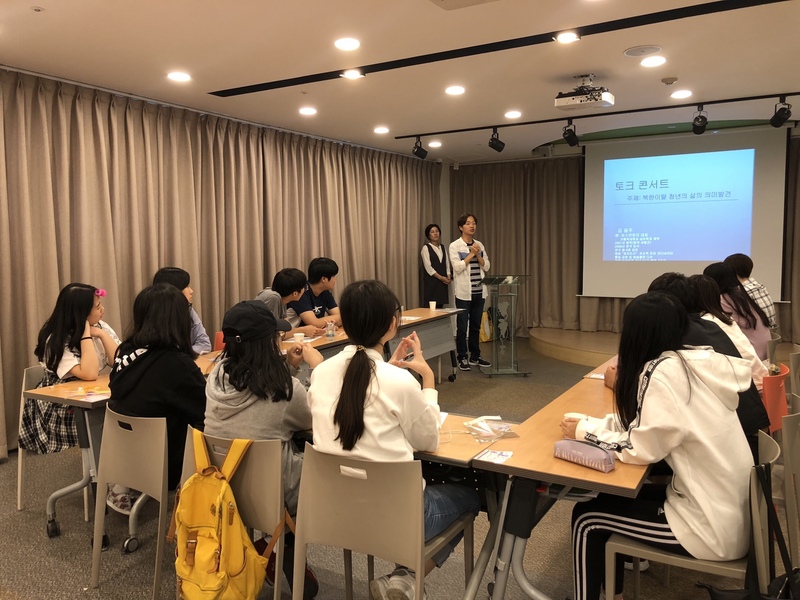 In detail, I think it is important to help North Korean defectors who feel unfamiliar with society in South Korea, but it is also important for North and South Korean youth to work together to form a bridge of solidarity. I believe these activities can ease difficulties for both the North and the South. I believe my work is essential for the Koreas. It is imperative that the North and the South really get to know each other for the vision to be achieved, which is why I participate in civic organizations and established Peace Bridge. If I were alone in the struggle, I might have given up, but thanks to all who have supported and work with me, I continue diligently. What is the most memorable project or activity you’ve worked on? There are three major events in my life. The first is my escape from North Korea to China. The second is my escape from China to South Korea, and the last is acting in a play and going on a bicycle tour. Among them, the play and bicycle tour are what really turned my life from dark to light. At the time, I had no choice but to join the tour and participate in the play, but fortunately, they left me with new found positive strength. 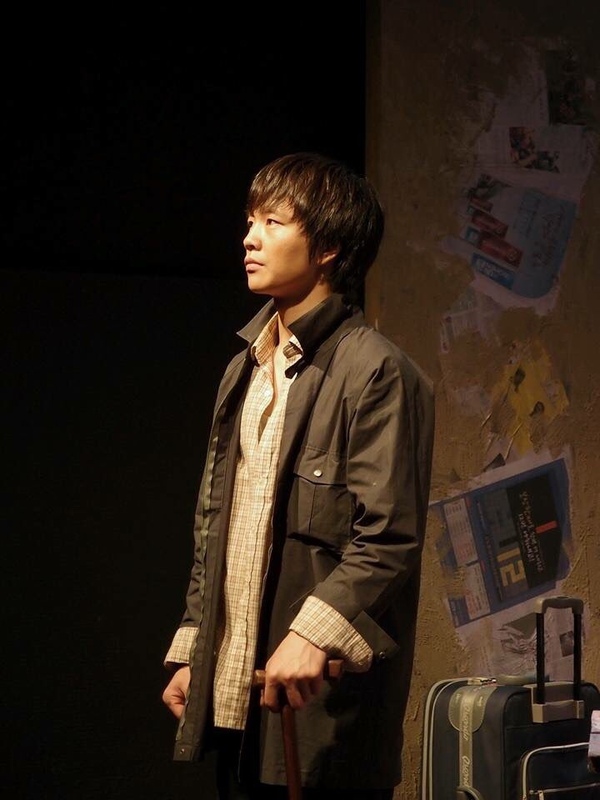 I’d never acted in a play before so it was new, but I really liked the process. 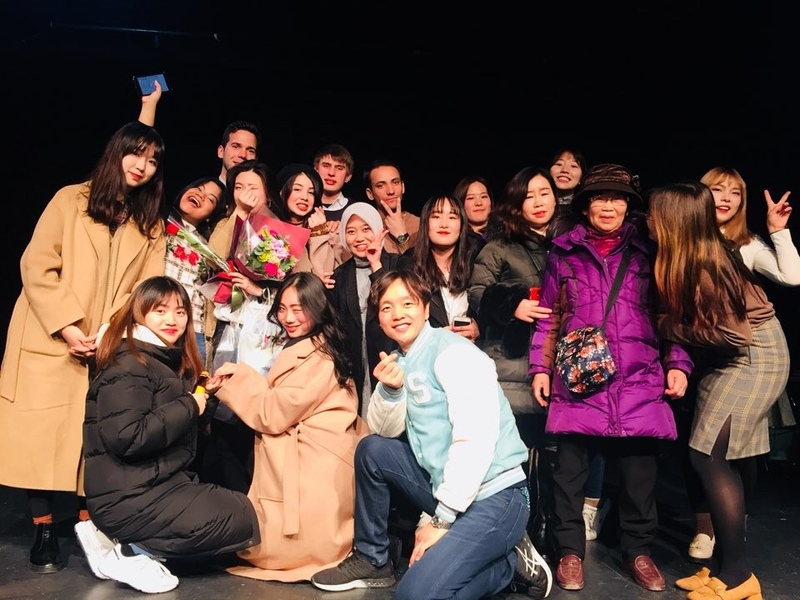 The plays that were performed were based on true stories and contained the joys and sorrows of North Korean defectors. We performed these plays for free, and a lot of people came out to see the shows out of simple curiosity. Once all performances were complete, one came to the stage and asked, "Are these real stories?”, “Are some of the actors really from North Korea? ", “I would have never imagined this.” The person ended his comment with, "I've learned a lot today. I was thoughtless about North Korea. I’ve learned many things that I’m going to think about on my way home. The plays were very impressive." I was overwhelmed with emotion, the thrill of accomplishment. At the same time, my prejudices towards South Korean were gone. The play and this one person changed me forever. Moreover, the South and North university students spent a lot of time together over the two nights and three days while on the bicycle tour, and we could break down stereotypes of one another from the tour. In other words, the bicycle tour and the play performance activity, where South and North Korean students intermingled pleasurably were events I most remember. Is there anything you like to challenge? Please tell us what you plan to do in the coming years. After reunification, as an elderly man, I hope to lecture to future youth about being a living witness to what transpired today in history. That is to contribute to a future that won’t be reverted to the past. I would also like to talk about the sumptuous feasts they are enjoying which is endeavored to provide a bountiful future from unity by our generation. I am blessed by a great feast upon arriving in the Republic of Korea, ruled by liberal democracy attained by the struggles of previous generations who knew nothing of me. Before reunification, I also hope to clear up stigma surrounding youth suicide in Korea. Nowadays, Korea holds the highest rate among OECD members. By establishing psychological counseling centers for teenagers, I hope Korea loses its top rank and proudly shows off its last place ranking among OECD members one day. I want all young people to live a full happy life. And that's what I am doing. Especially, I want to be a great helper to young North Korean defectors who need support structures eagerly. Lastly, please leave a final word for Sookmyungians. As a future psychologist for teenager, I hope we all find inner peace. I don’t believe that is a selfish wish. Everyone has family, friends, and civic activities, but these could only be prioritized after caring for yourself. If you feel anxious about the road ahead, don’t turn away from the path due to fear and remember each path has its challenges. And make an effort not to be biased, regardless of the topic. Be consciously aware that the media only focuses on being provocative. We already recognize that the situation now stands that the world ‘edited by the devil’ has been derived. Criticize yourself and question your thoughts and actions repeatedly. Constantly ask yourself, "Is it so?" Ask yourselves, is this really what you want, if so, ask why do you want it. You are young, so you have flexible thinking. Capitalize on that ability. I hope the youth of Korea reflect on their personal lives and ask themselves where they wish to go, what they wish to do, what will it take to be satisfied, and whether it is being fair. If you find any issues, strive to correct them. ‘A true citizen of a nation is not one who is born into that society, it is someone who performs their duties for their rights’. Rhyu Si-min once said and we are all on the same line, Sookmyungians, myself, North Korean defectors and all others.